There is a fear in paying annual fees. Sometimes it can be worth it. 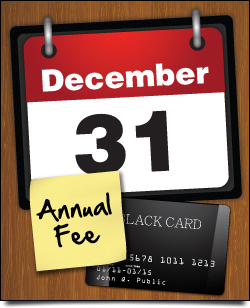 Many cards come with the fee waved for the first year, but a few have it upfront. Be careful of premium cards (Ritz-Carlton, AMEX platinum, Citi prestige) as their fees can be $400+ upfront. Avoiding Annual Fees… In this order. A retention offer is an offer from the bank or lender to keep you as a customer. This offer will often times come in the form of a credit to offset the fee, bonus points or bonus points on certain categories. As an example, I’ve recently a retention offer Barclays. I called them up after my annual fee (free first year) posted on my Red Aviator MasterCard (converted from the old US Airways cards). After getting through the first line representative and mentioning the words “closing my card”, I was transferred to the retention department. 2x on gas, utilities and pharmacies up to 8000 points within three months. Spend $500 in December, January and February and receive 15,000 bonus miles. I accepted the offer. But even if the fee wasn’t waved, those 15,000 AAdvantage miles would be worth the $89, for me anyways. So as with many things, it’s a to each their own situation. Even after calling several times and receiving poor offers or no offers, after 12 months from opening you may be eligible to downgrade your card to the no fee version (AMEX Everyday preferred to AMEX everyday) or change the product. Your credit limit will stay the same and the account number will remain the same on your credit report, but you’ll receive a different product. Keep in mind, if you do downgrade, you will be not be eligible to receive the sign-up bonus on that product. Citi – Your best bet is to downgrade to the Citi Double Cash card which earns 2% cash back. Chase – You can downgrade the Sapphire Preferred to a Freedom, but you will lose the ability to transfer your points to travel partners. Some of their hotel and airline cards (co-branded) have no-fee versions. Each card is different. Pro Tip! It’s possible to have multiple Chase Freedoms, but you will only earn the bonus on the one you applied for, not the one you downgrade to. 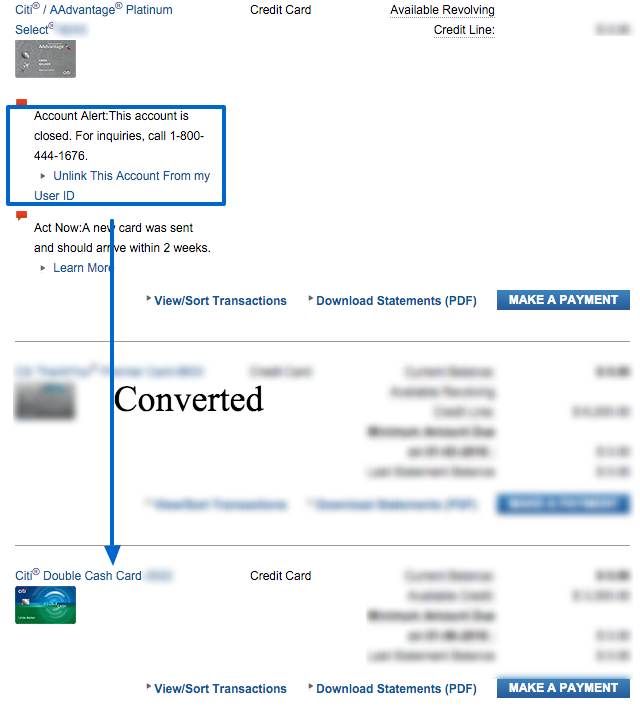 AMEX – You can downgrade credit cards to the Everyday, no fee. You cannot downgrade charge cards to credit cards, so if you would like to downgrade your Gold or Platinum cards, be sure to ask what no fee charge cards you can downgrade to. Bank of America – Several options for downgrading your card. Their representatives can be tough, but if you call enough times, you should get someone who can help you downgrade to the BankAmericad Cash Rewards, BankAmericad Travel Rewards or the BankAmericard Credit Card. Barclays – Most of their products have a no-fee version that you can downgrade to. Pro Tip! It’s possible to earn the bonus again on Barclays and Bank of America Cards—sometimes you’re better off cancelling and applying a few months later for that new bonus. If all else fails and you want to just close the card, it can be worthwhile to reallocate your line of credit. For example, you have $5000 in credit on Product A that you are going to close; you can move over a large majority of that credit to Product B. Chase, AMEX and Barclays do not usually hard pull your credit to reallocate a line of credit, but always confirm that this is the case before agreeing to the move. Citi and Bank of America nearly always want to pull your credit to move lines around. The exception is when moving around credit to open up a new card. 4) When all else fails, is it worth it? Definite: IHG Card, $49: The card is fee-free its first year. After that, it comes with an yearly certificate to be used at ANY IHG property. This can be really lucrative and worth your $49 at a property like the IHG Bora Bora Resort Thalasso Spa which can run you over $1000 during peak season. 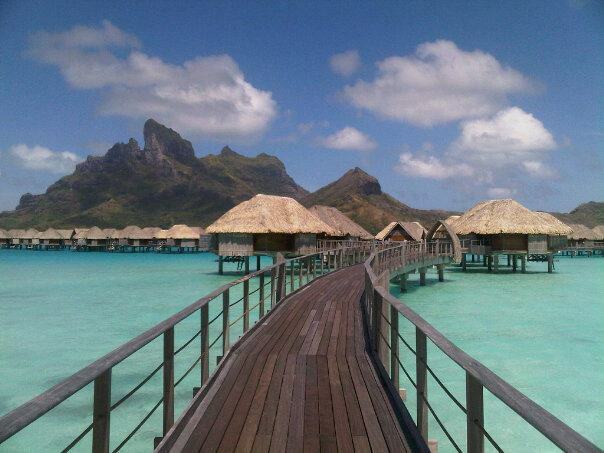 Overwater Bungalows in Bora Bora can go for thousands–when your annual fee is only $49! Definite: Chase Sapphire Preferred, $89: Not having this card would limit my ability to transfer Chase Ultimate Rewards points to their many lucrative travel partners. Maybe: Citi Prestige, $350: Though I take full advantage of many of the great benefits this card has to offer, I need to see if I’ll do the same this year. Definitely Not: Citi Hilton Reserve, $89: I paid the fee the first year (it is NOT waived), but now that I’ve been matched to Hilton Diamond, I don’t need a card that provides Gold status. When it comes to paying annual fees, you the consumer need to determine if the benefits outweighs the cost. Always try for a retention offer. What cards, if any, do you pay a fee on? I like this post a lot. It’s a good question, are annual fees worth it? I guess when my free introductory year expires I’ll have to come back to this article and read it again!! I think it is worth asking them to compensate for the charge. Companies like chase, sometimes offer miles in exchange for paying the fee (although it may take a few calls).